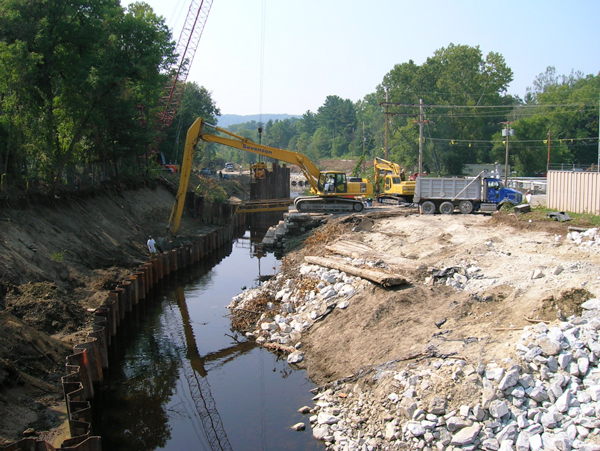 The clean-up options selected by EPA to address contaminated sediment in the Housatonic fall into three broad categories — dredging, capping, and monitored natural recovery. Although dredging has been performed for centuries to increase and maintain navigational channels in waterways, dredging to remove contaminated sediment — referred to as environmental dredging — is relatively new. Dredges dislodge sediment by grabbing, raking, cutting or hydraulically suctioning sediment from the bottom of waterways. Once dislodged, the sediment is lifted from the river bottom either hydraulically through a pipe or mechanically with buckets. Dredged materials must be transported from the original dredge site to processing and/or dewatering areas, and then ultimately to a disposal facility. This could cause an additional threat to the environment in the case of a spill, accident or release. Typically during dredging, monitoring is conducted to monitor contaminants in the water or air during the work. 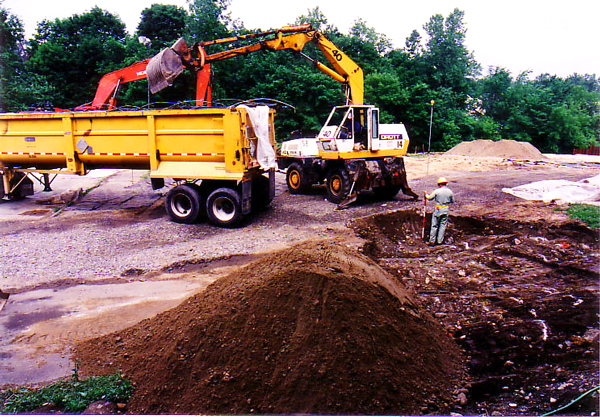 Following dredging, clean soil or stone may be placed in dredged areas to return them to original elevations and contain any residual contaminants left in the sediment after dredging. Some of the difficulties associated with dredging include: performing the work with sufficient accuracy to remove contaminated sediment to specified depths; minimizing the resuspension of contaminants into the water and air; and controlling the amount of contamination that re-settles on the river bottom. Dredging in rivers can cause significant impacts to the environment, including the disturbance of ecologically sensitive areas and removal of wildlife habitat. Dredging may also require stabilization of the riverbank, to ensure that they do not erode. Several stabilization techniques may be used and the decision to choose any particular method typically depends on bank slope, pre-dredging stability and water velocities. As approved by EPA, GE evaluated dredging options for Housatonic sediment that range from no removal (or no action) to the removal of 2.25 million cubic yards of sediment from 340 acres of river bottom — a project that would take more than 50 years to complete. Coupled with its analysis of dredging, six dredging options evaluated by GE also included measures to stabilize the riverbank. These included the placement of armor stone along the shoreline to create a barrier from potentially destructive flows or ice; re-grading, seeding and planting in the shoreline; and/or installation of double layers of woven fabric forms filled with concrete or grout to provide temporary soil stabilization as vegetation germinates or roots. GE believes that dredging in the Housatonic River would damage the unique ecology of the Rest of River, an area recently designated by the Commonwealth as an Area of Critical Environmental Concern (ACEC). Click here to download ACEC designation. Capping involves covering contaminated sediment with clean material, such as soil, gravel, rock and/or synthetic materials. The cap is intended to isolate and keep contaminated sediment in place, prevent contamination of non-impacted sediment, water or air, and provide a clean sediment layer between living things and the contamination. Capping typically requires monitoring and maintenance over the next several years to ensure the cap stays in place, preventing contamination from reaching the surface. Risks associated with capping include the potential to move contaminated sediment during installation of the cap, displacement of capping materials by strong currents, and potential damage to the waterway’s ecology. Five of the dredging options evaluated by GE included capping — in areas where dredging would be performed first and in areas where no dredging was proposed. The amount of acreage to be addressed by capping ranged from 139 acres to 340 acres. Monitored natural recovery (MNR) relies on ongoing, naturally occurring processes to contain, destroy or reduce the bioavailability or toxicity of contaminants in sediment. These processes may include physical, biological and chemical mechanisms that act together to reduce the risk posed by the contaminants. MNR may also include enhancements, such as thin layer capping, to accelerate the rate of recovery. For example, during MNR, contaminants in sediment may be converted to a less toxic chemical via a process called biodegradation. Or contaminants may become less mobile by binding themselves naturally to sediment. Another example of MNR is when concentrations of contaminants at the surface of the river bottom — where wildlife tend to live and breed — decrease due to burial by cleaner sediment moving downstream and depositing on top of older, contaminated sediment. Typically, monitored natural recovery includes a monitoring program to confirm the project’s objectives are being achieved. Contaminant levels in water, fish or other biota may be measured regularly to ensure decreases in concentrations occur as expected. Monitored natural recovery is often coupled with other remedial technologies, such as dredging or capping. Capping or dredging may be performed in areas with higher sediment contaminant levels while MNR may be used in areas with lower contaminant concentrations. 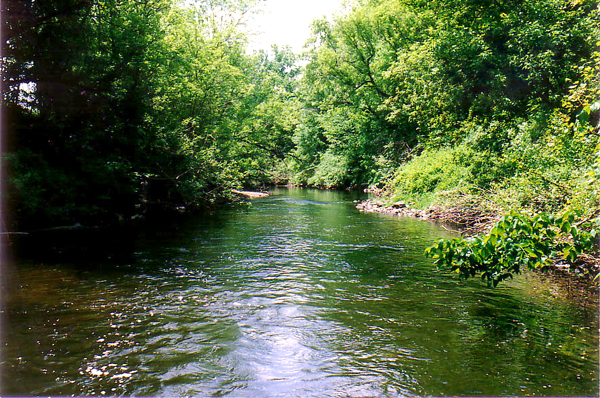 MNR is a component of seven of the eight sediment clean-up options evaluated by GE.